Those of us who choose to enrich our lives with a pet will usually stop at nothing to give them a safe, happy, healthy life. Yet one of the most fundamental processes for doing that – spaying and neutering – is still too often overlooked by pet owners. It is a topic that seems to get frequent and glaring attention. But until we are able to alleviate the tragedy of unwanted animals, it’s worth revisiting again and again. 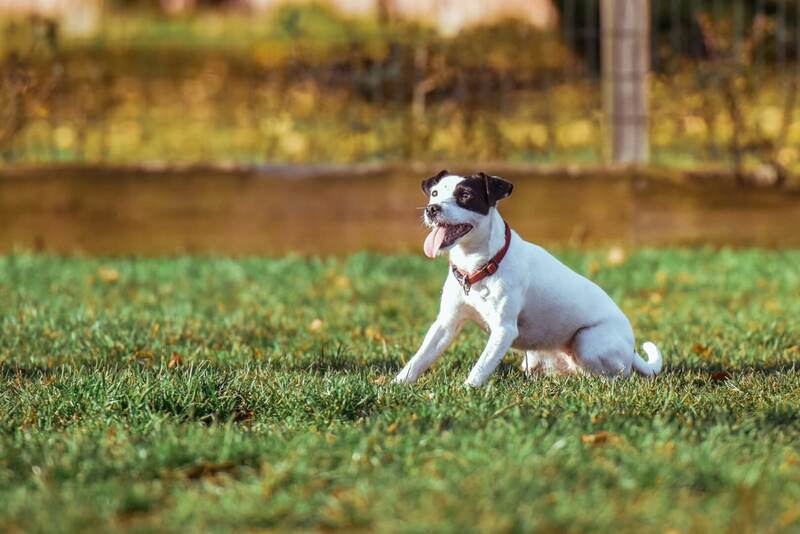 It is our hope in this article to provide some important facts about spaying and neutering and to encourage all pet owners to make the important choice to do so. Millions of healthy dogs and cats are being euthanized in shelters across the world each year because there are not enough homes to go around. And uncounted millions more suffer illness, starvation and death on the streets despite the fact that – as some experts calculate – these numbers could be reduced by 65% – 70% if we simply prevented unwanted litters of puppies and kittens. Did you know that a single non-spayed female dog and her non-spayed offspring can produce 67,000 puppies in only 6 years? Or that one non-spayed female cat and her non-spayed offspring can produce 370,000 kittens in only 7 years? Perhaps surprisingly, not all of them are born to homeless street animals. Many times they are the unwanted puppies and kittens of family pets. But we can all be a part of the solution if we will spay or neuter the pets we adopt into our homes. Spaying and neutering are actually very affordable surgeries. And, in most communities, there are low-cost or free spay-and-neuter clinics meaning everyone can have access to the procedures. Compared to the cost of having and caring for a litter (or worse, taking a litter to the shelter), spaying and neutering is definitely a more cost-effective and compassionate choice. Spaying and neutering have no impact on your pet’s personality. The procedures will reduce or eliminate some undesirable behaviors (aggression, urine marking, roaming, etc.). Furthermore, it often increases your pets’ interest in you since they will no longer be focused on finding a mate! The procedures have no effect at all on your pets’ cognitive abilities. They will continue to engage, interact and learn new things as they did before spaying or neutering. Pets become overweight – just like people – when they are inactive, eat too much and exercise too little, not because they are spayed/neutered. Your pets will stay fit and trim if you control their food intake and make sure they get regular exercise. It is actually best to spay females before they are sexually mature because spaying reduces the risk of certain cancers in female dogs and cats by as much as 85%. These procedures are now the most common surgeries performed by veterinarians. Your pet will experience relatively little pain and discomfort and will be back to normal activities within a few days in most cases. MOST importantly, spaying and neutering will reduce the number of homeless pets on the streets and in shelters and that benefit is immeasurable! 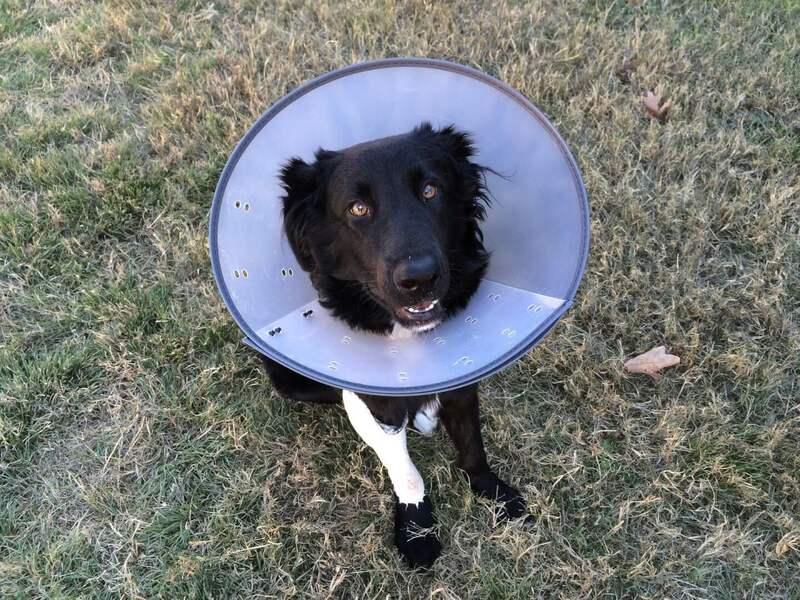 The customary age for neutering or spaying dogs is 6 – 9 months of age, but the procedure is sometimes performed earlier (as early as 12 – 16 weeks in certain breeds). 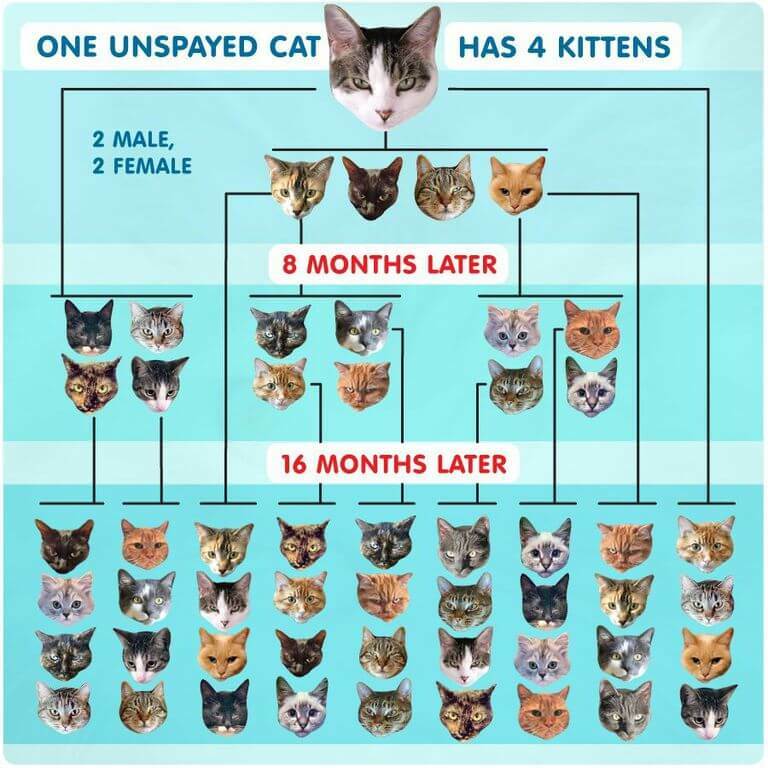 The customary age for neutering or spaying cats is 5 – 7 months of age, but the procedure is sometimes performed earlier (as early as 8 – 10 weeks in certain cases). Dogs and cats can be spayed or neutered as adults, too. If you’re adopting an adult animal, the enormous need to spay and neuter still applies! Of course, to determine the best age to spay/neuter your own pets, always consult your veterinarian. While it is natural for us to be concerned about putting our pets through a surgical procedure, your veterinarian can reassure you and answer any questions you have during the careful examination he or she should perform prior to surgery (this pre-op exam is essential to making sure your pet is in good health and can tolerate the procedure well). There are no lengthy and complex preparations for spaying or neutering. The night before surgery, you’ll likely be asked to eliminate food and water after midnight. If spaying or neutering a puppy or kitten, however, this may not be the case since they require more frequent nutrition and hydration. Your veterinarian should provide you with pre-op instructions that are right for your pet. Your veterinarian will also provide post-op instructions that should be followed very carefully. For pain and discomfort, medication will often be sent home with you and there may be restrictions on diet for a period of time. It will be important as well to keep your pet calm for a few days while they begin to heal. But overall, the post-op care of your pet is simple to manage. Our towns and communities spend staggering sums of money annually to round up, care for and sadly, to euthanize the millions of homeless animals that result from the lack of spaying and neutering. Safe and affordable spaying and neutering of all the pets we adopt into our homes can substantially impact this tragedy. Spay and neuter your pets as early as possible. Encourage your family and friends to do the same. Support your local low-cost or free spay-and-neuter clinics and if your community does not have these services, talk to your local veterinarians about getting them started. Do your compassionate part to help our beautiful animal kingdom thrive!